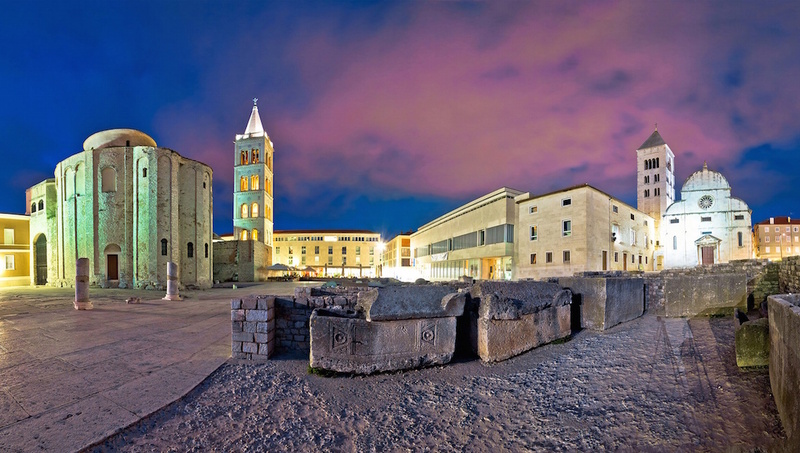 For all its historic buildings, ruins, and eccentric attractions, Zadar is a lively city that rises far above the trappings of your typical Dalmatian tourist destination. Here are the attractions that'll lure you away from its beaches! Built on top of the old Roman Forum, this Byzantine church incorporates many of the ruins' structural elements. The floor has even been removed so visitors can look down into it! If you came to Zadar to relax, board a boat south to the island of Ošljak. 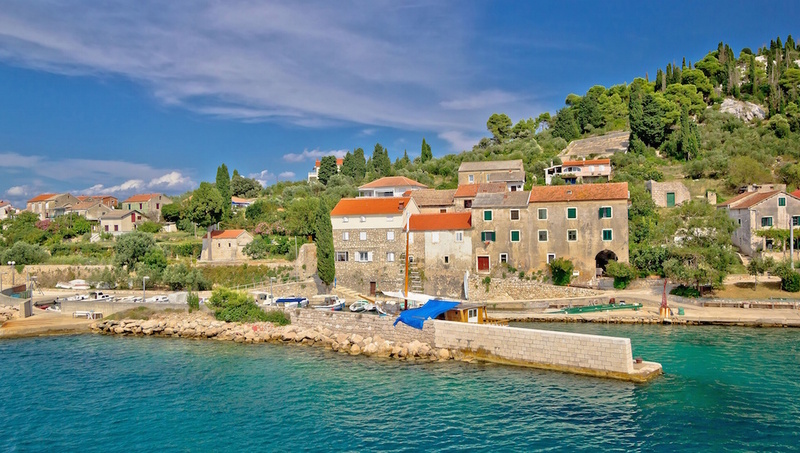 No crowds, no cars, just rustic fishing villages, cypress-lined hills, and the best seafood restaurants! This beloved art installation is essentially an instrument played by the waves. At night, the nearby Greeting to the Sun provides a fittingly impressive visual accompaniment. 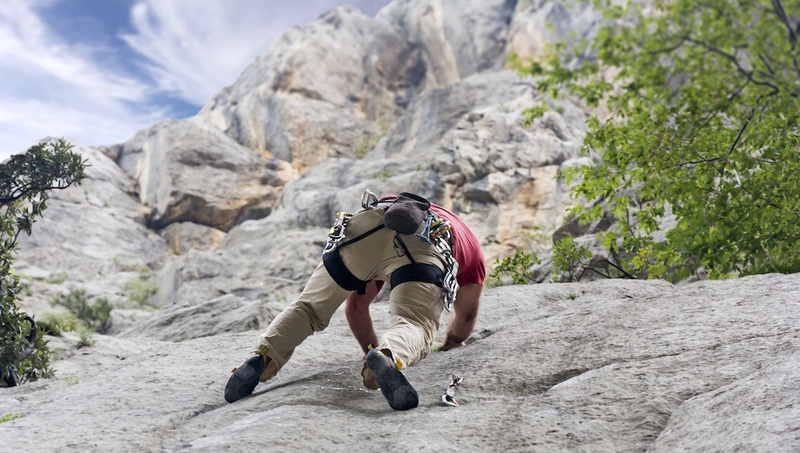 Established to protect the mountain region's diverse flora and fauna, this UNESCO biological reserve is a hiker's dream, as well as a paradise for birdwatchers! 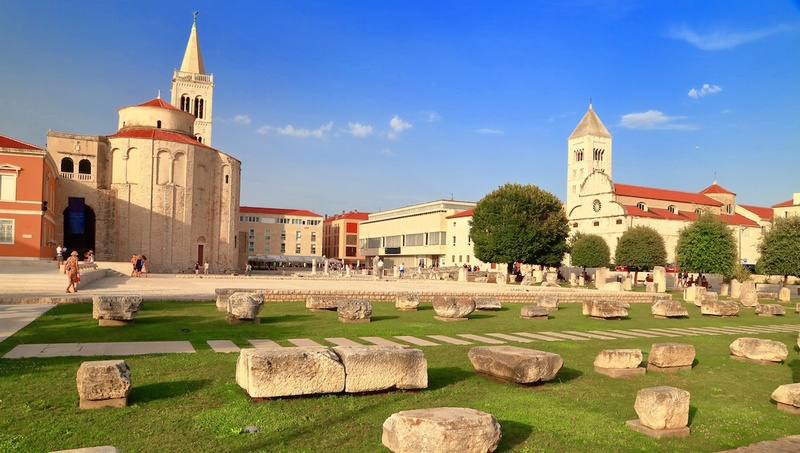 You may notice how Roman ruins seem to jut out of Zadar's every corner. For a great round-up of Dalmatia's colorful history, head over to Croatia's second-oldest museum. 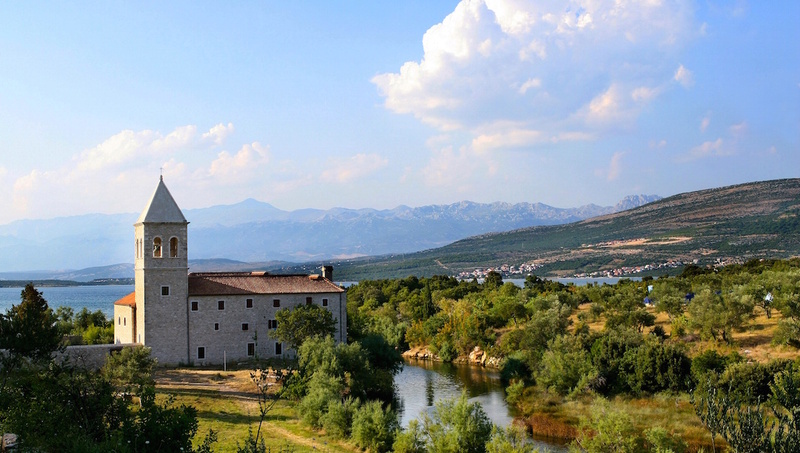 The city's religious focal point for centuries, this monastery was built around 1221, and was where the Venetians signed away their Dalmatian holdings in 1358's Treaty of Zadar. The Cathedral of St. Anastasia blends architectural styles from the Byzantine to the Gothic. Climb its bell tower for beautiful views over the city and sea. If you can, arrive at either end of the tourism season – May/June or September/October – to experience perfect seaside weather without the crowds that come in the peak months. 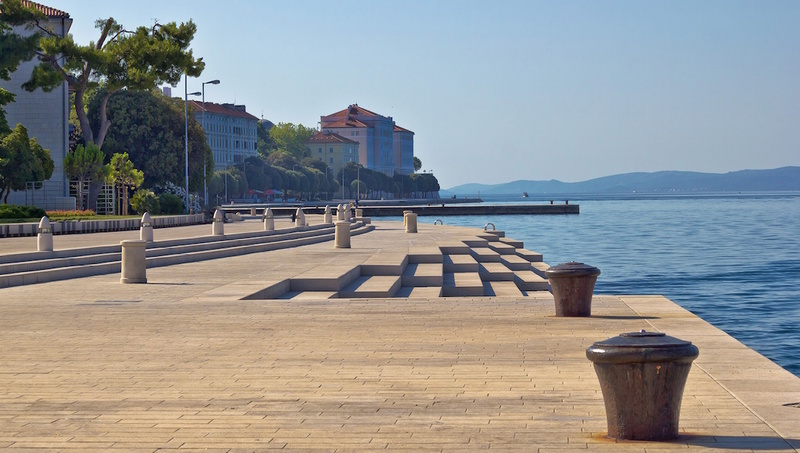 Zadar has a wide variety of attractions, including an archipelago that's perfect for island-hopping! You could complete your city sightseeing in a weekend, but we recommend taking it slow and relaxing into Mediterranean life. If you do choose to explore the islands, allow at least a week. Go in late spring or early fall for the best of all worlds – warm weather, better prices, less crowds! 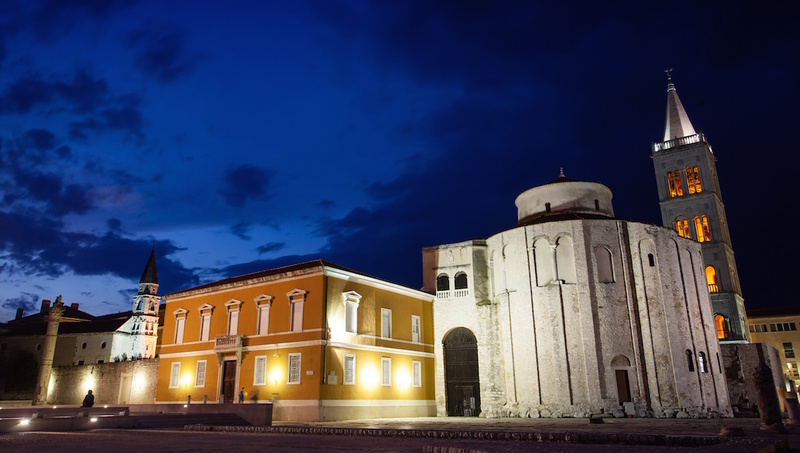 Want to discover all there is to do in Zadar? Click here for a full list. Beautiful tour with brillant tour guide. We are very satisfied with the tour. The tour started with a 1h 40min drive to the National Park which is breathtaking! We were there in April, and even through it was 20°C in Zadar, we definitely needed a jumper - it was quite a bit colder in the park. The Tour guide was very nice and forthcoming. An absolute recommendation! Šime is a very knowledgable guide and willing to custumize the tour. Great tour, great discussion, lots of new knowledge! I highly recommend Šime as tourguide for Zadar. Simce was an awesome guide. The tour went half hour over as he is so passionate which was great as he is awesome to listen to. Brilliant value for money. Plitvice Lakes park is an amazing place to visit, lots of beautiful views of the lakes and waterfalls. The tour guides are happy to chat during the walk and point out the best views to photograph for the Instagram aficionados. Our guide Katarina was fantastic and looked after us well. She explained some of the history of the park, flora and fauna and geology. It was very informative and interesting. She made sure everyone knew what to expect and where we needed to be. I had a fantastic day with our lovely group.